Not Quite Donna Reed: Welcome back darlings to Not Quite Donna Reed! Welcome back darlings to Not Quite Donna Reed! Hello Gals! I am so glad to be back here in this space, truly. I have been praying for quite a few months about blogging and its fit in my life. 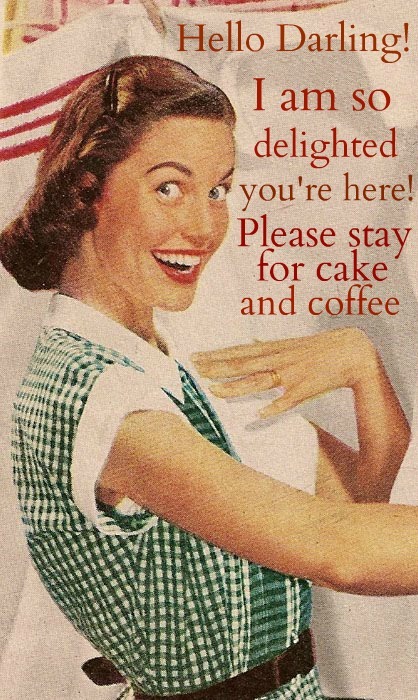 Some of you may have found your way here via my blog Blueberry Cottage. While I have loved that blog dearly I have felt like it is time to let it go and move on. I will keep the archives up for a bit and will transfer a number of the very popular posts over here, but my focus is changing in regards to blogging. I have had a passion for homemaking since I was a little girl washing my doll clothes and hanging them on my mother's clothesline! The domestic arts have always been a joy to me. I love, love, love, taking care of my home and family and really wouldn't trade it for any other profession on God's green earth! So gals the focus here will be on all things involving family and home. The navigation bar up top pretty much sums up what the topics of chat will be here. I hope to post a few times a week, Lord willing. This space will be a spot to offer fresh encouragement to the wife and mother or the wife and mother- in -training, tips on homemaking, frugality, cooking, baking AND LOVING OUR HUSBANDS AND CHILDREN. My prayer is to be that Titus 2 mentor so absent in our churches today. Taking care of our homes and families is the most important job on this earth--gals, we're raising future generations! Let's enjoy and excel at this priveledge God has blessed us with. Now let's have some fun to kick off this space! I am not quite finished tweaking things here yet, but I just couldn't wait any longer to share. So you may pop back in and see different things, but for the most part the major designing is done. Dear Becky over at The Cutest Blog on the Block has been working on this space since March and let me just say she is a darling! If you want to spruce up your blog, you need this gal--she not only is creative, she is patient. To celebrate I have some gifts for you. I do love to get pretty packages in the mail and want to share that little thrill with you! 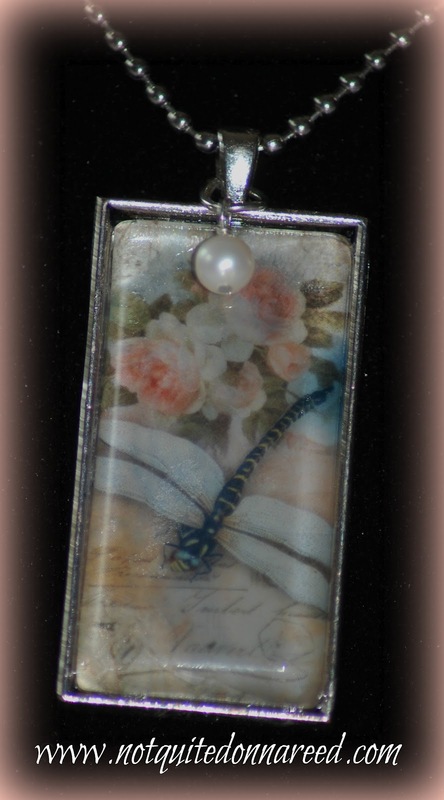 First up is a vintage dragonfly necklace I created with a freshwater pearl on a ball chain. These are made with glass carbochons so the image pops--it really is just adorable! 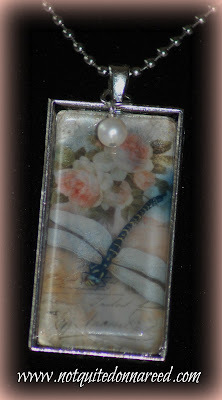 It is a 1"X2" rectangle and the image is vintage emphera reproductions. I love this necklace soooo much! There are more of these if you want a closer look in my new Etsy Shop Pretty Darling Things--the shop link is right on the sidebar. 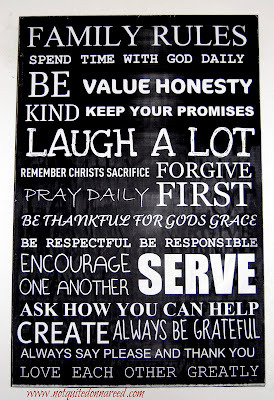 Third, is our Family Rules poster I created to imitate Subway Art. I have seen these posters in all the home goods stores at outrageous prices and knew I could make this. 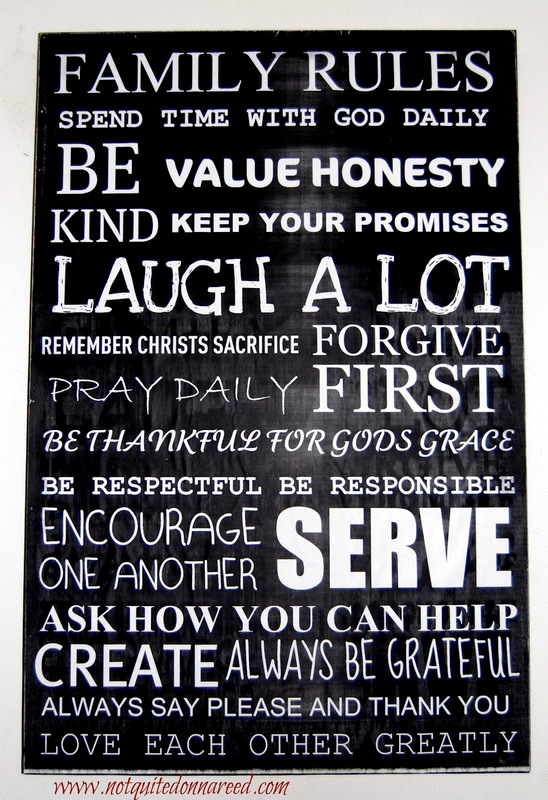 These are our Family Rules and I hope they will resonate with you. You will get a copy of this poster unframed. It is printed on blueprint paper and framed it has a distressed look with a few simple techniques. I will be posting a tutorial and links to those I used on how to make one of these, with the frame. Stay tuned for that. I will pick three winners Saturday Arpil 28th and announce them here and on FB. Thanks for coming by and sharing my joy! OOOOO...so glad you started this one back!!! I'll be stopping in often! I'd love to win, too! Happy to follow! One of my blogs is also retro. Your site is so cute! I love all of the retro pictures! I love my Betty Crocker vintage cookbooks better than any new ones I have! LOL! Do you have the one from the early 50's? Love, love, love the new design. Definitely be following. I stopped by this morning for a visit and you put a HUGE smile on my face with all your wonderful good news. I'm so thrilled for you and am sending oodles of happy wishes your way. You are such a delight and do so much for everyone. Thank You! Thank you so much, your comment is very humbling:-) What are you knitting up? I hope you'll participate in the weekly mem "Let's Get Stitched". I am still wearing your socks everyday...LOL! So glad to have found your blog! Being a homemaker is a journey that I am beginning and I am happy to find some encouragement. I love the design of the blog, too! Take care. Oh I love your blog and I too am looking forward to visiting each and everyday. I am definitely going to sit down when I get time this morning and drink my cup of coffee and go through your blog because it is just wonderful from the looks of it. Have a wonderful day. Just stopping by to say hello and nice to meet you! Come check out my list of 100 Smoothies! Comment if you'd like on which one is you favorite! I look forward to your upcoming posts, as these are topics that I enjoy! May God bless you with this new venture in blogging! Cute! Congratulations on the new, adorable blog! I run a Homemaking Link Up Weekend that starts every Friday morning and I'd love to have you join us! Have a lovely weekend and God bless you and your family! You inspire me to do some more Titus 2 type posts at Harvest Lane Cottage. Add 5 more entries for me for liking you on facebook, please. Hi, I was checking out your chocolate mousse dessert shots. They look so good. I am going to make them this weekend for my family. 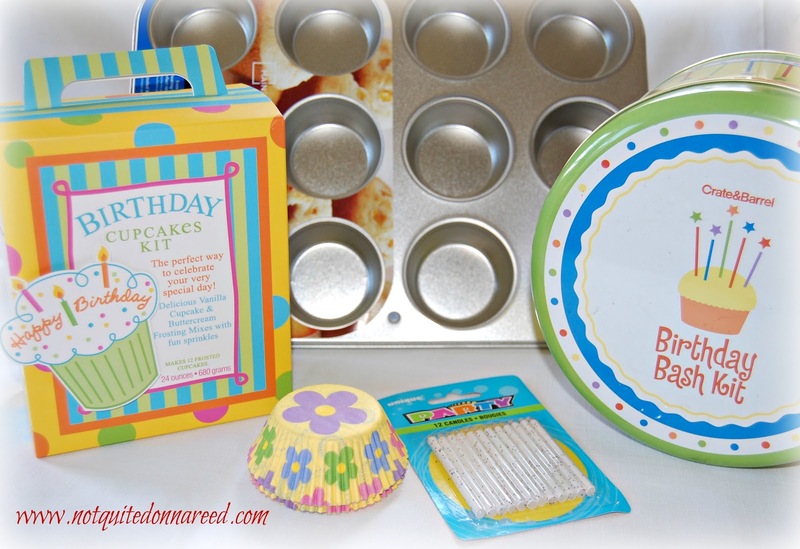 Anyway I thought I would check out your blog and enter your giveaway. I also will like your page on facebook. Love your new blog and the music. When i was younger i watched Donna Reed. I am still a lover of aprons. Found your blog today- I actually don't know who Donna Reed is, but we never had t.v. in our home, so perhaps that is why. :) I am looking forward to future visits as I really enjoy being a homemaker. Seems we have a lot of similar likes including lilacs, picnics, and bluebirds. Thanks for entering me into this lovely giveaway!. I am doing one for Mother's Day. Please feel free to enter mine as well. I am so glad you're back. I love this site. 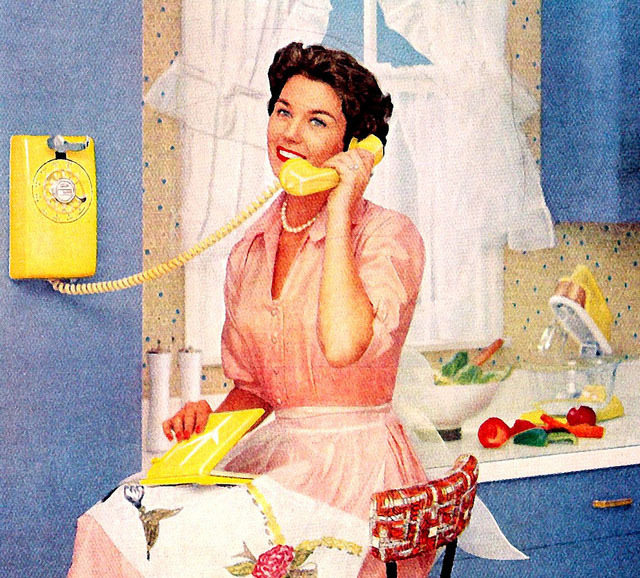 The home-making posts are great, but I love the retro pictures. They help put me in a domestic mood.